Even though this patient is not overweight; diet and exercise did not realise her ideal body shape. Notice the significant improvement in this patient's body shape after undergoing liposculpture. Curious What Liposuction For Women Entails? Find Out Everything Right Here! 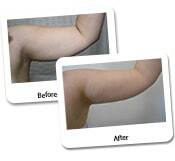 Liposuction for women is a procedure that is very popular nowadays. Contrary to popular belief, most women coming in for a liposuction for women are not overweight. Most patients are having trouble shifting weight in certain problem areas, despite of maintaining a healthy diet and exercising regularly. For these patients, liposuction for women is usually the way to go. What Can You Tell Me About This Liposuction For Women Case Study? This woman came into the clinic with certain problem areas, but was not overweight. No matter how hard she exercised, she could not get rid of the excess fat around the hip area. For that reason, the patient and Dr Lanzer decided to execute a liposuction procedure. When you take a look at the patient’s picture after the procedure, you will notice an immense difference around the hip area. Removing the excess fat around the hip area has given the patient the figure she wanted. If this patient maintains a healthy diet and a good exercise routine, these results will stay. What Can You Tell Me About Liposuction? Liposuction is a cosmetic procedure that is actually quite common. By using light suction, excess fat is removed from certain problem areas on the body. Liposuction can also be referred to a liposculpture and suction-assisted lipectomy. The majority of liposuction for women procedures will be executed in areas where excess fat tends to pile up. The most common areas for liposuction are therefore the buttocks, thighs, tummy and hips. Even though liposuction for women is mainly used to improve the appearance, there can be medical reasons to choose liposuction, for example the removal of fatty benign tumours and the removal of fluid accumulation in body tissues. Can I Use Liposuction to Deal with My Overweight? Liposuction for women can give you a head start to deal with your overweight, however, we do need to mention that liposuction is no cure for obesity on its own. In order to get to your target weight and live healthy, you will need to maintain a balanced diet and exercise regularly. If you do struggle with an overweight and want to come in for a procedure, we recommend making an appointment and speak to a member of our medical team. When you book an appointment, our staff will be able to determine if you are a good candidate for the procedure. Should I Opt For A Liposuction Procedure? The first step towards a liposuction procedure begins with you. Before you take the plunge, it is always a good idea to read some of our information pages or contact our clinic to speak to a staff member. By discussing the procedure with one of our medical staff, you can get a clearer picture of what the procedure entails and if it is suitable for you. There are usually a few things that will make you a good candidate for liposuction surgery. The most common reason for women choosing liposuction is the fact that their problem areas are causing a decrease in self-esteem or confidence. You may have tried to tackle the problem areas yourself, but without much success. Dr Lanzer has executed a large amount of liposuction procedures over the course of his career, so you can find a number of examples on the Dr Lanzer website. Please note that each procedure is unique for every person, so results may vary. Before your procedure, you will be able to talk to Dr Lanzer and your expectations. How Does A Liposuction Procedure Go? The liposuction procedure depends heavily on the technique that will be used to remove the excess fat. Even though tumescent liposuction is the most common type of liposuction for women, it is still possible that the surgeon will opt for a different technique if your particular situation requires it. Because of the fact that there are many different techniques, liposuction can be executed with general, local and even epidural anaesthetic. The surgeon can also use high-frequency vibrations to liquefy the fat before it is removed. Liquefying the fat makes it easier to remove the fat from the problem area and causes little to no damage to the surrounding tissue. After your procedure, you will have to wear an elastic compression to reduce the swelling after the operation. Depending on the procedure itself, most patients can go home immediately after the surgery. However, there is also a possibility you will be kept overnight to recover. No matter which procedure you come to the clinic for, we recommend getting someone to drive you home. You may be quite fatigued after the procedure and it is not a good idea to do large amounts of movement. Most patients will experience a minor amount of bruising and swelling after the procedure. However, there is no need to worry because these side-effects usually disappear shortly after the surgery. You will also be given some pain relief, so you can recover comfortably. Patients are also able to call the clinic at any given point if they need any information or if they have any concerns. Once some time has passed, you will be asked to come back to the clinic for a follow up. All details surrounding your recovery will be provided by Dr Lanzer and the medical staff. You will be monitored as soon as you walk in the clinic until you are fully recovered. Both Dr Lanzer and the medical staff will make sure you are properly informed about every little aspect of the surgery, so you will not have to worry about a thing. Do you have further questions about the procedure or do you want to find out if you are a good candidate for liposuction for women? Do not hesitate to give our clinic a call for more information. Want to come in for a consultation? Or do you want to speak to someone at the Dr Lanzer clinic about your options? Call us at 1800-444-333 or fill in our free online advice. Reaching your ideal body shape is quite the challenge. In some cases, a patient cannot obtain their ideal body shape with diet and exercise alone, which was the case for the patient featured in the case study above. Even though the patient was not obese, the patient still displayed excess fat deposits on the hips. Through a targeted liposuction procedure, the patient obtained a significant improvement in body shape. Of course, these results are different for each patient, so it is advised to see case studies as an example and not a guaranteed result you could obtain. To get a better idea about a possible result you might obtain from liposuction, you can talk to your cosmetic surgeon. The cosmetic surgeon can give you more insight on how your body might change with a liposuction procedure. Of course, a cosmetic surgeon can never guarantee that a patient will get the results they require, since cosmetic surgery is always accompanied by certain risks. Therefore, before you obtain a liposuction procedure, it is essential to understand the risks involved. Before you get this procedure at the Dr Lanzer Clinic, our medical team will send you a consent form that contains all the risks accompanying the procedure, so you can be fully informed before you consider liposuction. 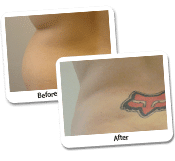 View more Liposuction Before & After Photos above.